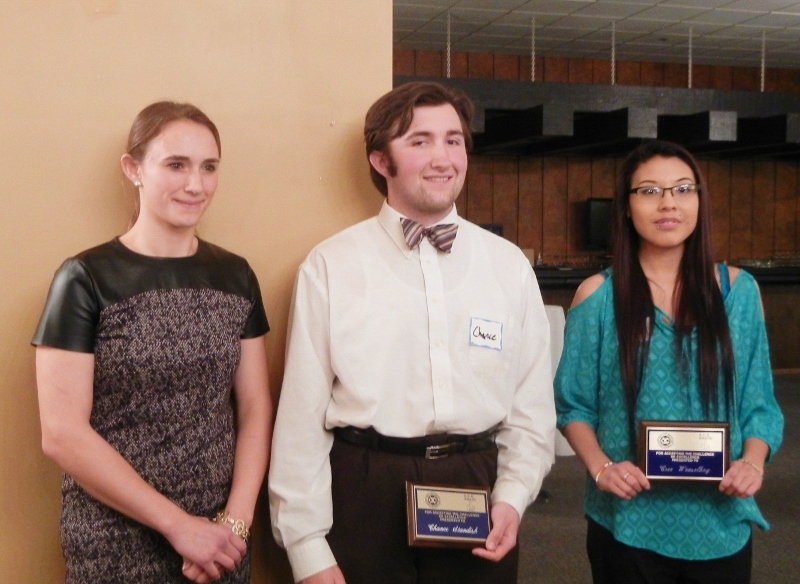 The Butte Exchange Club awarded $7,000 in scholarships to three local high school seniors at its annual Youth Awards Banquet on February 18. Angela McLean, Montana Lieutenant Governor was the keynote speaker. In photo from left to right: Maria, Chance, and Cree. The Youth of the Year Award was presented to Maria Michelotti, a Senior at Butte High School, who received a $1,000 scholarship. Maria was selected from twelve outstanding high school seniors attending Butte High and Butte Central. Chance Standish, a Senior at Butte Central, received the A.C.E. 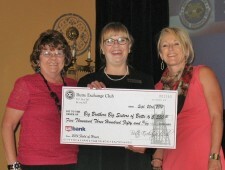 Award and the Butte Exchange Club Merit Award for a total of $2,000. Chance was also a candidate for the Youth of the Year Award. A second A.C.E. Award was given to Cree Weaselboy, a Senior at Butte High. She also received the Rosemary Rawls Scholarship, the Susan Welsch Scholarship and the James Dorr Johnson Scholarship. The total value of these awards is $4,000. A.C.E. stands for Accepting the Challenge of Excellence and is awarded to students who have overcome great challenges to graduate from high school. The ACE Award is a $1,000 scholarship sponsored by the Butte Exchange Club with support from New Horizon Technologies. Furthermore, the A.C.E. Award candidates also compete for the Rosemary Rawls Memorial Scholarship, the Susan Welsch Memorial Scholarship, and the James Dorr Johnson Memorial Scholarship. The three winners are now eligible to compete for district Exchange Club awards and then district winners compete for National Exchange Club Foundation scholarship of $10,000. 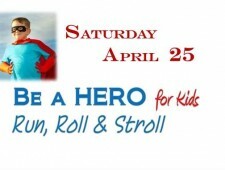 Exchange Club Donates $80,000 Be a Hero for Kids!